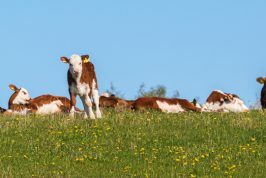 The HIGH MAG product contains the unique 3 in 1 BLM formulation but specifically targets increasing magnesium levels in livestock to help combat grass tetany and milk fever. Dosed once every 3 weeks, HIGH MAG helps improve the health and performance of livestock at times when increased magnesium is required. Includes trace elements with high magnesium for times when grass tetany is most prevalent. Natural electrolytes for increased absorption and retention. Kelp / Seagrass extract with over 90 different natural nutrients are included for overall health. All Beachport Liquid Minerals products are designed for ease of use and flexibility to suit your program. 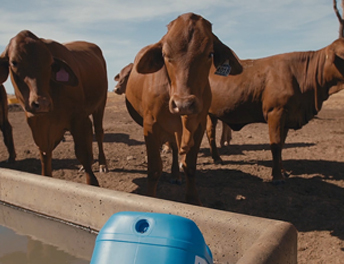 The simplest and most effective method for the High Magnesium product is via the water trough using our BLM Dispenser, but it can be also used via a water tank, mixed with hay or through an inline system. See below for further information on each application method. Work out how many stock on water point: e.g. 200 breeders x 25mls = 5Ltrs. Treat 3 weekly to keep magnesium levels elevated. Measure 5 litres of Beachport Liquid Minerals High Mag product into a clean, empty 10ltr drum. Leave the drum dispensing in the trough for 48-72 hours. Repeat the process on a 3 weekly cycle. Drums must NOT be completely filled (i.e. 20 ltrs in a 20 ltr drum). There has to be air pressure in the drum for the dispenser to work correctly over its 3-day dispensing period. Why: When you look at the dispenser it has an inlet and an outlet that are constantly under water in the trough so the air in the drum is trapped. For every ml of Beachport Liquid Minerals product that escapes through the outlet over the 3 days a ml of water is sucked back in through the inlet keeping the air pressure constant. So if you put 15 litres of Beachport liquid supplement in a 20 ltr drum 3 days later Beachport liquid supplement product will be replaced by 15 litres of water due to the water pressure in the drum. Note: Ensure at least half the drum contains product or a combination of Beachport Liquid Minerals supplement & water, to ensure flow rates are not affected. IMPORTANT: Under no circumstances can Beachport Liquid Minerals products be mixed with other products in the water supply at the same time. This includes UREA. Calculate the amount of product required based on the number of stock being supplied by the tank. 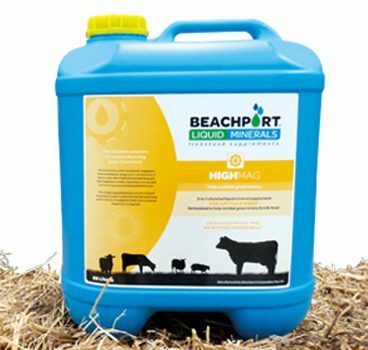 Beachport Liquid Minerals livestock supplement should not be put in a tank with excessive sediment present. Note: If multiple tanks in line ensure the closest tank to the stock is dosed. Dose amounts remain the same (25mls per head for an adult dose). DO NOT turn tank water supply off risking stock running out of the water. Water flow is essential to allow the High Mag supplement product to suspend in the water and clouds on the movement to the outlet. Dose over 3 applications, NOT one. The Beachport Liquid Minerals High Magnesium product is to be used as a preventative, not a cure. 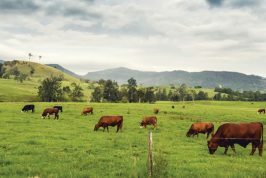 Be proactive at times that grass tetany and milk fever are traditionally prevalent. Please note: It is recommended that frequency is every 3 weeks and at half of the normal dose of other Beachport Liquid Minerals products. Refer dose rates for further instructions. It is recommended to halve the normal dose of HIGH MAG (compared to other Beachport Liquid Minerals products) to increase the frequency to 3 weeks to ensure magnesium levels do not drop. Refer dose rates below. of High Mag for 3 weeks. A heifer you’re trying to get in calf, a cow in calf, or a cow with calf at foot to 200 kilograms is classed as a breeder unit. 25mls per animal every 3 weeks. These amounts per head are for a three week period, NOT daily. Recommended dose frequency is once every 3 weeks at the dose rates in the table below or as directed by a Veterinary Surgeon. 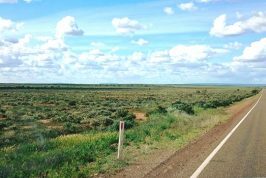 The preferred application method for BLM products is via the water supply. Every batch of Beachport Liquid Minerals product has an individual analysis by a NATA accredited Laboratory available. The table below is the target analysis for High Mag. How long should you use the High Magnesium product for? Use High Mag as a precaution before high risk seasonal conditions when there is a threat of grass tetany. Use every 3 weeks through this period until adequate pasture. 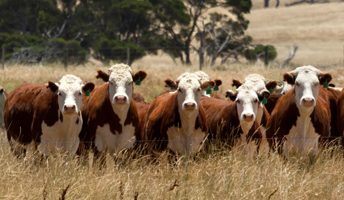 Can using BLM High Magnesium treat grass tetany? 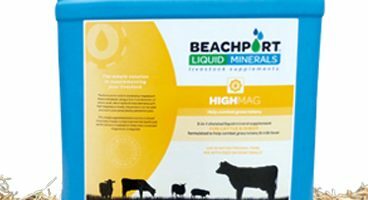 Beachport Liquid Minerals High Magnesium is a tool to use in your grass tetany prevention program. 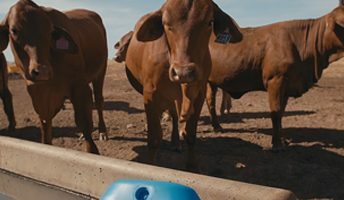 Using the High Mag product may help prevent grass tetany, but it will not cure/treat grass tetany if the animal is already showing clinical signs. Why can’t BLM products be mixed with other products in the water supply? 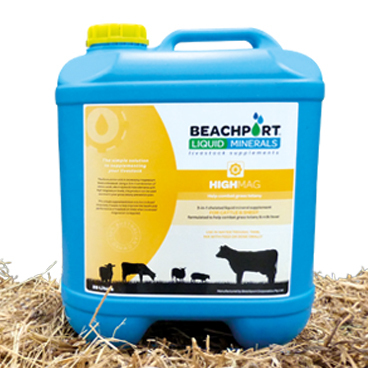 Beachport Liquid Minerals is a feed conversion tool, this means that animals are able to utilise anything that is going down their throats more efficiently. For example: If you were to put urea in the water at the same time as BLM you will find that the Urea will become 60% more available. This can be quite dangerous as urea can poison stock. If you use copper blocks for algae treatment, take them out prior to putting in the BLM. Once the Beachport Liquid Minerals is out of the trough (4-5 days) you can put the blocks back in the trough. Once again the copper will become more available and may poison the stock. You can use BLM in conjunction with licks and block (containing urea) just not in the water at the same time. B.L.M. 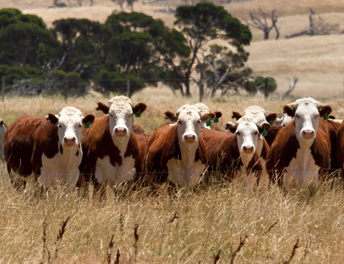 works hand in hand with our management strategies to maximise the potential of our cattle.